As a very young man he grew up in the Italian Socialist Party (PSI) fighting for revolutionary socialism. He took part in the first struggles against the revisionist leadership and tactical opportunism of the Turati, Treves and Modigliani type. Just over twenty years old at the start of the First World War, he was conscripted into the Italian Army and reached the rank of sergeant. By the time hostilities had ended he had been demoted to the rank of private and subsequently condemned by a military tribunal to two years in a military prison for “endangering public institutions.” The vague legalese of the sentence hid the fact that he had been condemned for “revolutionary defeatism” (i.e. calling on soldiers to turn their guns against their officers) in that crisis. In fact his condemnation and arrest were a result of his “incitement to desertion” and for denouncing the “imperialist character of the war.” Set free in 1919 he returned to his position in the Socialist Party collaborating on the its newspaper “La Lotta” (The Struggle) in Fermo (Le Marche). In the two “Red Years” (Biennio Rosso) of 1920-21, a period full of political and social tension which included the occupation of the factories in Turin, Onorato Damen, as a defender of the Left, worked first in Bologna with the Local Trade Union Council and then with the Casa del Popolo (“House of the People”) of Granarolo as secretary of the Community Legal Committee. 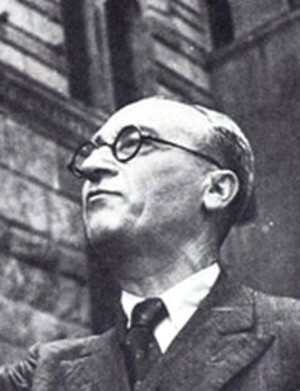 In this period he participated, as a member of the intransigent fraction of the Left associated with Amadeo Bordiga, in all the ideological and organisational struggles, from the Congress of Bologna to the Convention of Imola and from Imola to Livorno, that led to the birth of the Communist Party of Italy in 1921. In the months immediately preceding the Livorno split he worked as secretary of the Trade Union Council in Pistoia and as the chief editor of the periodical “L'avvenire” (The Future). He remained in Pistoia up to his arrest during the electoral campaign of 1921. This came about as a result of an event which took at Poggio a Caiano, Tuscany. You should disappear for the entire period of the electoral campaign and hide in a villa in Fiesole or remain in Florence under our continual surveillance. Damen rejected these “offers” as he had all previous ones. As a violent general strike in protest over his arrest had erupted in Pistoia, Dumini had no option but to release him. Renewing contacts with the Party and ignoring the fears of his comrades, Damen decided to return to Pistoia where he remained in order to continue the task of agitation. On the return trip, in a car escorted by a number of armed comrades, he encountered a squadron of Fascists at Poggio a Caiano. This clash resulted in the death of one Fascist and the wounding of two others. Damen, although found not guilty of complicity in homicide was sentenced to three years imprisonment in the Murate in Florence. Given what took place at Poggio a Caiano and his subsequent incarceration, the leadership of the party decided to send him to France as a part of their “Political Bureau” to represent the party and to preside over the organisation of groups of exiled comrades, coordinating their political activity as the director of the weekly L'Humanité in the Italian language. Later after his clandestine (as usual) re-entry into the country in 1924, the Party presented him as candidate in the elections and in spite of the rabid opposition of the Fascists he was elected as a deputy for the city of Florence. Meanwhile within the Party, the rupture between the leadership imposed by Moscow, and the Left was becoming clearer. This was further underlined with the Matteotti affair. Matteotti was a Socialist Deputy who after a particularly telling criticism of Fascist rule “disappeared” after being kidnapped (and murdered although his body was not found for weeks) by a Fascist gang in 1924. In response the bourgeois and Socialist Deputies boycotted Parliament. This so-called “Aventine” secession (named from a famous revolt in ancient Rome in which plebeians walked out of the city and took up residence on the Aventine hill in the 4th century BCE) was supported by Gramsci and the Party Centre. In January 1926, in an article in L'Unita, Damen would later denounce the Central Committee. The Fascist regime was in crisis but the PCd'I leadership chose form an anti-fascist front and line up with the passive tactics of the bourgeoisie instead of launching its own struggle inside the working class. In January 1925 Mussolini taking heart from the passivity and feebleness of his enemies, took responsibility for Matteotti’s murder and began the Fascist dictatorship in earnest. Throughout all this Bordiga, who could count on the unconditional support of the rank and file of the party, initiated his own “Aventine” secession, that is to say he attended the meeting of the Central Committee but without intervening in its debates, thus not obstructing the change in political leadership embodied by Gramsci and Togliatti. Although critical of Bordiga’s easy acceptance of “bolshevisation” Damen rallied with him in the fight against the political degeneration represented by the new party leadership. It was at this point that he first fell foul of the PC d'Int’s new leadership of Togliatti and Gramsci. The Florence Federation demanded that the Party leadership examine Damen’s “position.” A meeting was called which the police broke up on the allegation that the participants were armed. The importance of this episode was what it revealed about the degeneration of the PCd'I. Although the meeting was to discuss Damen’s “case,” he was not even invited, but according to police documents he had organised it! This can only be explained by the practice that was being followed then by the Party Centre to eliminate any form of opposition by the Left. They did not actually denounce Left leaders politically. Instead they let the police know that those comrades, who benefited from parliamentary immunity, were involved in activities for which they could be prosecuted. Obviously the Party did not inform those concerned. So much so that the members of the Committee of Intesa had to go to Naples to meet Bordiga who refused to move out of his home town. The Committee of Intesa dissolved itself under pressure from the PCd'I leadership and the Comintern. The representatives of the latter promised that their concerns would not only be discussed at the next Congress but also that all comrades dismissed from their party posts would be reinstated. Damen was now a marked man for the Fascists and his own Party. In November of 1926 he was confined on the island of Ustica where he was soon joined by Bordiga and then Gramsci. In the “Casa Damen” (an old windmill), they established a party school in which, for a few weeks, the three led the teaching in aspects of Marxism as well as more basic subjects. This was to become important in later years as many of the “pupils” subsequently adhered to the Left and the Internationalist Communist Party. In December of the same year he was arrested again and sent again to the Murate in Florence after being implicated at the trial of Florentine Communists accused of plotting against the state. He was again arrested at the end of 1935 over the Spanish events. He was also arrested several times in 1937 under suspicion of spreading communist propaganda. did not participate in the propaganda around the clandestine reorganization of the PCI (originally the PCd'I) because Damen remained faithful to his Bordigist orientation, and disseminated propaganda of the international Left opposed to the politics of the Comintern and against Stalinism in Spain. Arrested again at the outbreak of the Second World War, he was imprisoned for the entire period of the war. He was finally released by the Badoglio government in 1943. Even in those difficult years, under the vigilance of the Fascist police, Onorato Damen made a decisive contribution to the birth of the Internationalist Communist Party, the only autonomous class response to the monstrous slaughter of the Second World War. Damen had kept in secret touch with others of the Left both in Italy and abroad throughout the Thirties and Forties. He recognised from the start of the Second World War that a new international party would have to replace the degenerate and counter-revolutionary Comintern. It took until the wave of mass strikes that broke out in Northern Italy in 1943 before an opportune moment for its formation arrived. Damen was in prison when the first leaflets of the Internationalist Communist Party appeared clandestinely in 1943 but his participation in it was well known. The first issues of Prometeo were also published in the same clandestine form with contributions from Damen. In 1945, Togliatti and the PCI, while advocating amnesty for Fascists, unsuccessfully petitioned in the National Council of Resistance to have the leaders of the Internationalist Communist Party condemned to death as saboteurs and labelled them agents of the Gestapo; they included Damen in their list of its leaders. Togliatti’s Italian Communist Party had already assassinated two of their founding members and organisers Fausto Atti and Mario Acquaviva. In the crisis period following the war the Internationalist Communist Party grew to be a party of thousands with branches in France, Belgium and the USA. However with the beginning of the post-war boom the Party’s base began to shrink. In the early 1950s, Bordiga (who never joined the PCInt) began calling for a return to the positions of the Italian Communist Left as they were in the early 1920s when he was the leader of the Communist Party of Italy. Damen’s group around Battaglia Comunista (and their theoretical journal Prometeo) resisted this and when Bordiga also made clear that he considered the formation of the party to be premature a split became inevitable. On the nature of the USSR, Damen insisted it was a form of state capitalism and that this was a tendency inherent in the whole capitalist system. He therefore stated that the USSR had to be opposed like any other imperialist power. Bordiga rejected this and argued that the USA, “industrial concentration Number One” was the real target of working class opposition. Damen considered that the party should operate according to democratic centralist norms. Bordiga called for “organic centralism” and rejected the idea of voting to decide issues. Damen argued that whilst issues should be decided as much as possible by agreement without voting there had ultimately to be some check on the leadership by the rank and file. Damen concluded that in an age of global imperialism the era of national struggles were over. The working class could gain no longer gain anything from supporting bourgeois revolutions or national liberation struggles. Bordiga argued that in some parts of the world it still could. Damen and his followers concluded that the trades unions had now become integrated into the capitalist state apparatus therefore the unions could not act as transmission belts between the economic struggle and the Party. He concluded that factory groups made of those who saw that the fight for wages also had to have some political dimension would be the best way for communists to organise themselves in the workplace. Bordiga initially stuck to the idea of operating through the existing union structures. After the split Bordiga’s followers attempted to hold onto the names of the party and its papers but in 1952 they took the title, the International Communist Party, launching their paper, Il Programma Comunista. There are today several International Communist Parties all claiming to be the real class party but there is still only one Internationalist Communist Party. Throughout the 1950s and 1960s Damen engaged the PCInt in discussions with various political groupings such as Socialisme ou Barbarie and Raya Duneyeskaya’s News and Letters but it wasn’t until the onset of a new capitalist crisis that the PCint began once again to revive. In the 1977 it organised the first of the International Conferences of the Communist Left. Damen did not see the end of this process and these conferences ended in 1980 but from them the Internationalist Communist Party and the Communist Workers’ Organisation together formed the International Bureau for the Revolutionary Party on the basis of a common platform. With the addition of groups in Canada, the USA and Germany this became the Internationalist Communist Tendency in 2009. Onorato Damen died in Milan on Oct 14 1979.